St. Paul native Louie Anderson is a busy guy, to say the least. Anderson is an Emmy Award-winning actor on the FX series Baskets; he's the author of the new book, Hey Mom: Stories for My Mother, But You Can Read Them Too; he's released a new comedy special called Big Underwear (available on many cable and on-demand platforms); and now he's back in his home state for a series of standup comedy shows in various cities from June 21 to 24. "Standup is the first love," Anderson says. "Everything else is wonderful, don't get me wrong — I love my books, I love my cartoon, I love Baskets, I love doing a special — but standup, you know, that's it. It's a magnificent love and responsibility to make people laugh." Anderson was kind enough to stop by Oake & Riley in the Morning for a delightful chat with Brian and Jill, talking about his hometown of St. Paul and about his many creative projects. "I tell people, 'Never give up,' because I think it's really tempting, especially in the climate we're in, to give up," Anderson says. "I was over 60 when they brought me the Baskets character of Christine. I never saw it coming. It was a meteor. So hang in there, you guys." Use the audio player above to listen to the entire interview; browse highlights below. "I remember being behind the curtain that I'd looked at my whole life watching Johnny Carson. I remember being behind it and turning into my mother, going, Hmm… it's kind of a cheap curtain. I would have thought it would be more expensive." "In 2015, I started writing a letter, 'Hey Mom, it's been a long time since I talked to you …' and then this thing poured out of me just like whooo… which all good writing for me is that way. I said at the end of it, 'By the way, I'm playing you on TV and people seem to really like it.' The book is really good; I really love it, and I got to remember my mom just that much more." "It's such a joy to play that part … I hope it continues. I hope I'm not jinxing it by even talking about it. It's so real. That's how real the people are in the Baskets family. There are real people like that. How many shows have an over-300-pound woman in it? You don't see it, because it isn't in the psyche of what should be on TV. But here they are, brave as can be, to pick me to play that part." "I said to my manager [that] I wanted to call it 'Big Underwear.' And he goes, 'That's a terrible name.' And I go, 'When you go on the cable thing and you look at the guide, here's what I'm up against' — I told him: Deadliest Catch; Naked and Afraid. What am I going to have? Louie Anderson: Butter? I'm going to go Louie Anderson: Big Underwear, because that could compete with it." "Talk about being connected to his fans, talk about being in the moment, talk about fearless, talk about maybe the most sensitive of all the artists and not afraid to show it, but also just goes to show you how hard it is sometimes to be that. And to be as famous as he was must have just been excruciating at times. But I loved him and always will love him, and he's a big part of Minnesota." Audio produced by Anna Reed; transcript by Luke Taylor. 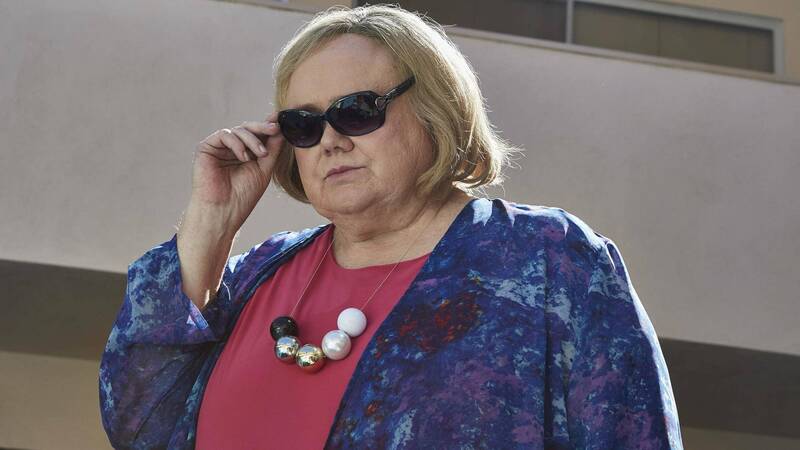 In 'Hey Mom,' Louie Anderson has a laugh with his leading lady The actor and stand-up comedian has channeled his late mother in his work for years. "Hey Mom" is Louie's way of catching her up on everything that's been going on in his life. 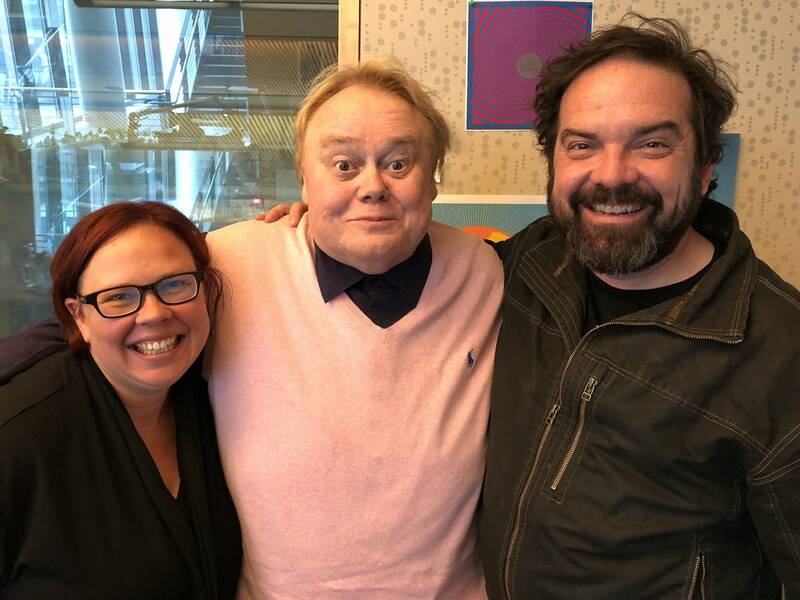 Louie Anderson's youth in St. Paul helped form an Emmy-winning character Anderson stars in FX's "Baskets," which was just green-lighted for a third season. He sat down for a wide-ranging, personal interview with MPR News host Tom Weber while back in Minnesota for stand-up shows.